Is there anything wrong with youtube? For last couple of days, whenever I buffer something and then play again, buffering starts from the beginning, I wonder why. Youtube is fine. your internet connection is bad. change your Internet service provider. Oh right, I thought it was something wrong with youtube. Thanks! Can anyone tell me any website from where I can view the content blocked by PTA? I had read a blocked article long time back by visiting some remainhidden.net or something. I tried to search that link but I dont know why I couldnt find it. Anonymity is a double-edged sword. On the one hand, the United States was founded, in part, thanks to Thomas Paine's anonymously written, pro-revolution pamphlet Common Sense. On the other hand, 12-year-olds who post anonymously on the internet can be rather unpleasant and cause real problems by cyberbullying. Whether you think the good outweighs the bad, this news is troubling indeed: A far-reaching bill introduced in the New York State Senate could end the practice of posting online once and for all. "A web site administrator upon request shall remove any comments posted on his or her web site by an anonymous poster unless such anonymous poster agrees to attach his or her name to the post and confirms that his or her IP address, legal name, and home address are accurate. All web site administrators shall have a contact number or e-mail address posted for such removal requests, clearly visible in any sections where comments are posted." Critics are quick to point out how dangerous and ineffective the anti-privacy bill would be in the off chance that it somehow passes. After all, IP addresses do nothing to verify a person's identity, and including your home address on a controversial internet post could open you up to real-life threats. In effect, the bill is an online stalker's dream. Of course, the most likely result of the bill's passage would just be the full-scale elimination of all comment systems everywhere, because the system is an unworkable burden on both the poster and the "web site administrators" who would need to respond to ludicrous take down requests at all times of the day. Edited by Magnus, 24 May 2012 - 08:38 PM. A computer built by IBM for the National Nuclear Security Administration (NNSA) has become the world’s fastest supercomputer, according to the Top 500 Supercomputer list. Managing 16.32 sustained petaflops (quadrillion floating-point operations per second), Sequoia blows Fujitsu’s 10.51 petaflop K computer — the previous champ — out of the water. The Sequoia is based on Big Blue’s Blue Gene / Q architecture, which can theoretically scale to provide 100 petaflops worth of processing power. The NNSA’s Sequoia consists of 98,304 compute nodes, into which IBM has packed 1.6 million cores with 1.6 petabytes of RAM (1 GB per core). The system sits across 96 racks and is roughly eight times more power efficient than IBM’s Blue Gene / L architecture, which held the number one spot during the mid-2000s. In Germany, IBM has built the SuperMUC supercomputer, which sits fourth on the Top 500 list and claims the title of “Europe’s fastest supercomputer”. It has a peak output of over three petaflops from more than 150,000 cores. The SuperMUC, unlike most supercomputers, is hot-water cooled, which removes heat 4,000 times more efficiently than air. The system directly cools active system components like processors and memory with coolant that can reach temperatures as high as 45 degrees Celsius (113 degrees Fahrenheit). IBM says that ‘”three billion people using a pocket calculator would have to perform one million operations per second to reach equivalent SuperMUC performance.” A fun statistic, but we doubt calculator^x will become a power measurement anytime soon. 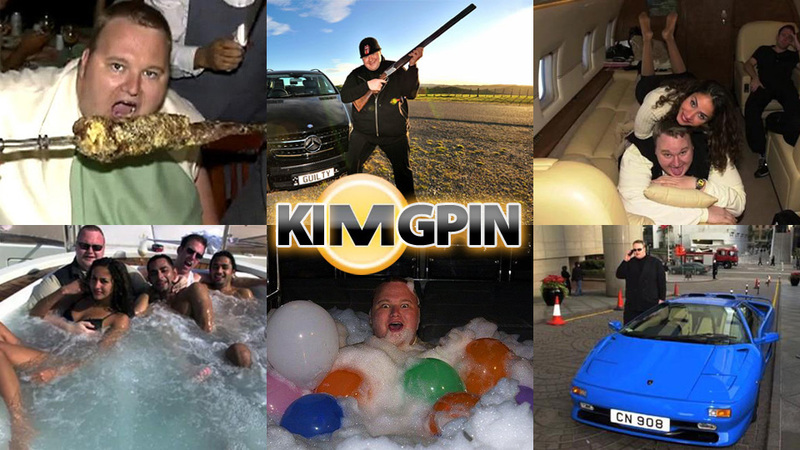 In the latest episode of the ongoing saga of accused criminal mastermind Kim Dotcom, the Megaupload founder says he suspects that the illegal intelligence New Zealand authorities collected on him was shared in real-time with American authorities. The US government says Dotcom masterminded a multi-million-dollar copyright infringement conspiracy by running the Megaupload cyberlocker, and although the authorities refuse to release any evidence of the alleged wrongdoing, Dotcom says he thinks he was illegally targeted by a secretive snooping-collective with an international reach. New Zealand’s Inspector-General of Intelligence and Security has already determined that the country’s spy agency, the Government Communications Security Bureau (GCSB), illegally monitored Dotcom when they subjected him to a rigorous undercover investigation reserved only for foreign nationals in the months leading up to the January 2012 raid on his home and his subsequent arrest. As a citizen of New Zealand at the time, the Germany-born Megaupload founder was targeted unlawfully and all intelligence gathered on him is now being brought into question. Speaking to the TorrentFreak website this week, Dotcom says the GCSB’s intricate involvement in the global Echelon intelligence network could have let US authorities come into possession with his personal communications. Last month, author and journalist Nicky Hager told Fairfax New Zealand News that the GCSB agents hired to conduct surveillance are “not spies in the normal sense” who have an array of technologies in their arsenal to monitor Dotcom’s activities. By locking into the Echelon network, Hager said the GCSB could "actually just plug in his email address, his name, his company name whatever and see what comes off it." The US is refusing to reveal the intelligence, however, despite their case against the file-sharing kingpin not advancing further than the indictment that has been unsealed since early 2012. In a separate matter, Dotcom’s attorneys have hit another roadblock in their effort to have that indictment dropped, with the US Justice Department declining to play by their own rules as they try to keep their quickly collapsing investigation from fizzling to nothing. Attorneys for Dotcom have argued that the US must serve a company charged with a federal crime at their last American mailing address, but Megaupload never once operated out of the US. "To this court's knowledge, no court has ever dismissed an indictment for failure to meet Rule 4's secondary mailing requirement," Judge Liam O'Grady ruled last week when he dismissed the defense’s argument. Earlier this week, Dotcom’s US-based attorney Ira Rothken told the Inquirer, "Now that these procedures are coming under scrutiny they appear to have violated the law at nearly every part of the process,” adding, “From an illegal search warrant to what we believe is an illegal military style raid, to illegal data sharing with the US, illegal spying and ultimately what we believe is an overbroad takedown of the entire Megaupload enterprise." Edited by Magnus, 10 October 2012 - 03:16 PM. also , is there a same tool for android ? Before the end of 2014, Microsoft plans to release a beta Skype app that will enable real-time translation of people verbally speaking in different languages. Skype Translator, as Microsoft is calling it, appears to be an extension of the real-time translation Microsoft has been developing over ten years. Microsoft has previously shown the technology in action with real-time translation of speech delivered by Microsoft’s Rick Rashid in a speech in China; most recently, Microsoft released Bing Translator, which performs the same function as Skype Translator, just on Windows 8. “We felt speech translation was a very natural evolution of the text-translation work we’ve been doing,” said Chris Wendt, a program manager for the machine language team at Microsoft, in a blog post. As Microsoft notes, however, the new Skype Translator simply makes more sense than a dedicated app, given the different scenarios in which Skype is used: in business, to talk to friends and relatives internationally, and in education. Satya Nadella, Microsoft’s new chief executive, introduced the new Skype Translator app at the Code Conference in southern California, where Gurdeep Pall, Microsoft’s corporate vice president of Skype and Lync, demonstrated the technology with a German-speaking colleague. The demonstration not only provided an oral translation, but a text-based one as well. The original text, as understood by Skype, appeared at the bottom. Although the text appeared scripted, the demonstration was still impressive. The German speaker, identified as Diana Heinrichs, however, clearly enunicated each word precisely, while Pall was less formal. While it’s unclear how the beta app of Skype Translator will relate to Skype itself (will the two remain separate apps?) it’s certainly clear that Microsoft is moving ahead in terms of real-time translation. Microsoft positioned the technology as the real-life instantiation of the Star Trek universal translator—while that may still be in the realm of science fiction, reality appears to be not too far off. Can't wait for the Surface Pro 3. I currently own a Surface Pro, been using it for over a year and it's been the best PC I've ever owned, period. It boots up in seconds, always runs fast, the active digitizer and pen is rock-solid. I recommend the product line (Pro).